Holiday was one of the most influential singers ever, whose influence crossed over jazz and blues to folk, R&B, rock and pop music. “Lady Day at Emerson’s Bar & Grill” is set in a bar in Philadelphia just months before her death in July 1959 from heart failure caused by cirrhosis. Even though, at one point, Holiday was one of the most successful performers in the country, she had lived a tough life and had succumbed to alcohol and heroin. She was arrested for drugs and spent time in a West Virginia prison. She was even arrested one last time for heroin possession while on her deathbed in a hospital. The play, written in 1986, is basically a monologue with piano accompaniment (and a little bit of dialogue from the pianist) with Holiday singing and talking about her life in the setting of an intimate nightclub. The Vintage Theatre production, which is directed by Betty Hart, runs weekends through Feb. 18, and everyone who loves music and theater should see it. The starring role is played by Mary Louise Lee, an experience actress who’s performed this play before. 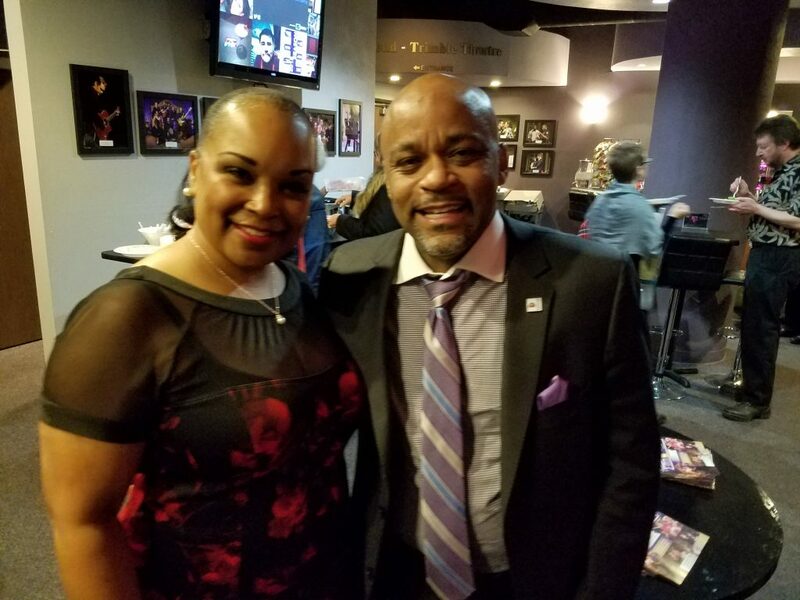 But Lee, who’s the wife of Denver Mayor Michael B. Hancock (who attends all his wife’s opening performances — the couple pose after the show, above), and director Hart acknowledge that this production resonates with the racial subtext that’s part of the current US political dialogue. “Post-racial” doesn’t mean much in the perspective of what happened to African Americans in the early 20th century, and what happened to artists — even great, famous artists like Billie Holiday — not that long ago, just a couple of generations. And in my lifetime. It should be noted that local stage veteran Trent Hines does an incredible job as accompanist and foil for the troubled Holiday, keeping her on vocal point with intricate, driving, rhythmic playing and then laying back and tickling the ivories for her biographical and social justice/racial musings. For her part, Lee is amazing, emotionally connected as she delivers her dialogue and eerily evoking Holiday as she sings, without sinking to mere mimicry of Holiday’s instantly identifiable vocal acrobatics. Lee’s a powerful singer in her own right, and she does a terrific job of delivering the music and reminding us why Billie Holiday’s legacy is important to remember — and celebrate. I’m listening to a lot of Lady Day’s music today, on Martin Luther King’s birthday, and the arc of history seems more important to note today than it has been in decades. 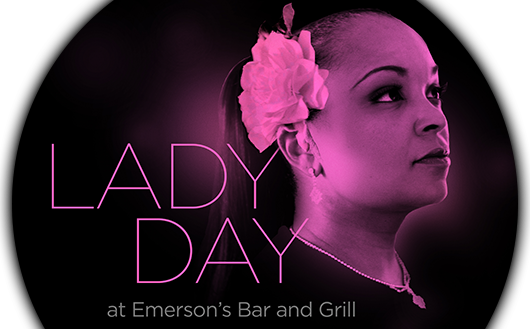 Get tickets to “Lady Day at Emerson’s Bar & Grill” are available online here.